Some people believed those thresholds to be too restrictive, and through the years requested changes that would loosen those restrictions. ... Click to read more! As genealogists, we often have the privilege to connect with relatives who have memories that stretch back much further than our own. Sometimes these connections are long-lasting, and sometimes they are very brief. But every one of these connections enrich our understanding of the past, and help keep alive ancestors that live on only in their memories. 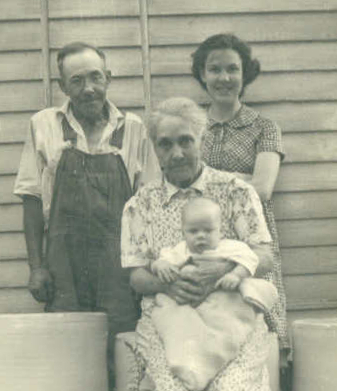 A smiling Millie with her parents Hamilton and Grace (Widrig) Colwell, and her baby. On June 1, 2002, I had the privilege to meet Mildred “Millie” Leet, who lived 3 hours away in Corning, New York. I’d briefly corresponded by mail with Millie about our shared ancestors, the Colwell Family of Ellisburg, New York. She was the great-grandchild of the immigrant couple Hamilton and Susanna (Stein/Steen) Caldwell/Colwell, my ancestors as well, and she was born just 20 years or so after their death. ... Click to read more! 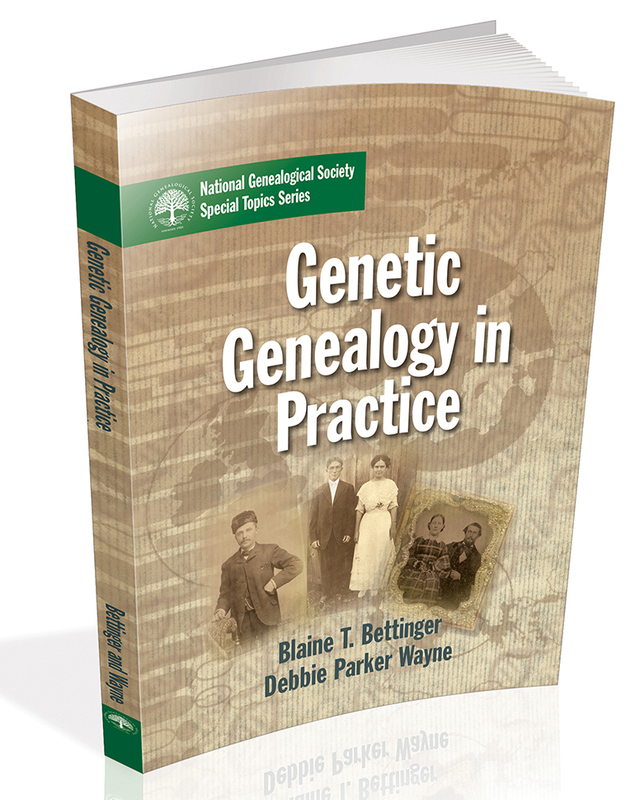 Genetic Genealogy in Practice is directed to genealogists of all levels, from beginner to intermediate to advanced. For the very first time, GGP offers hands-on exercises in areas of Y-DNA, mtDNA, X-DNA, atDNA, the Genealogical Proof Standard, ethics, and more. Genealogists can test their understanding and expertise in each of these subject areas via 75+ hands-on exercises, and will receive immediate feedback from an answer key that provides detailed explanations for every exercise. ... Click to read more!